Sites like this can really test the dowsers confidence, as well as skills. 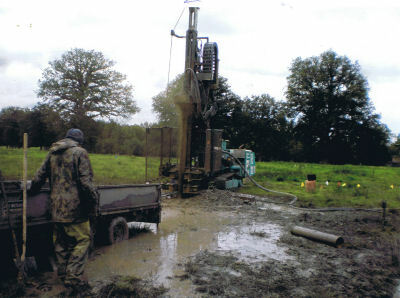 Especially when the drillers say that there is no water at the predicted levels that the dowser has quoted. Despite this, there was water close to the predicted level. 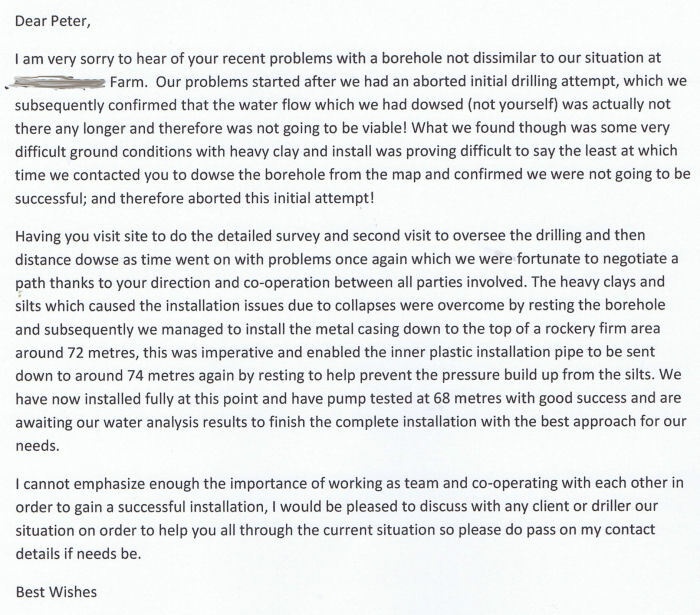 The pressure of the drillers saying there was no water lasted several weeks before I could prove that I was right and they were wrong. 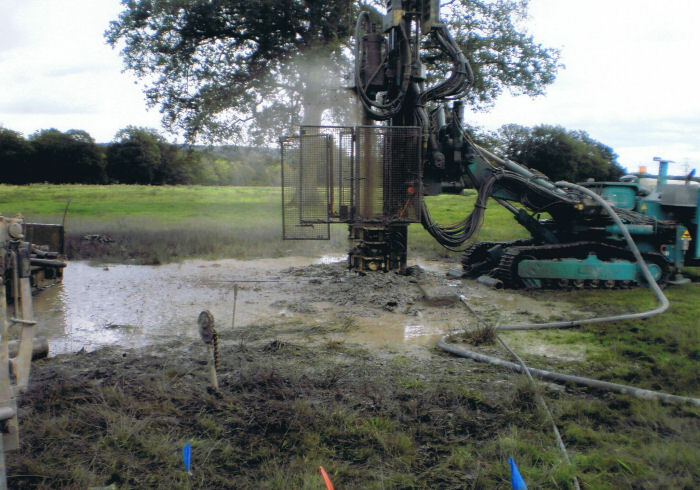 In certain situations mud drilling does not always indicate correctly that there is water there or not, especially when dealing with heavy clays. This second photo - shows clay and water. 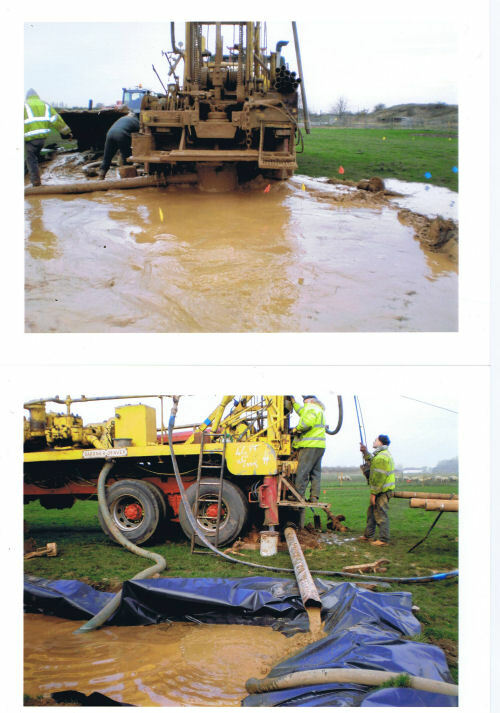 This is how the mud drilling process takes place. Depth at that point was approximately 30 meters of clay that we had gone through. 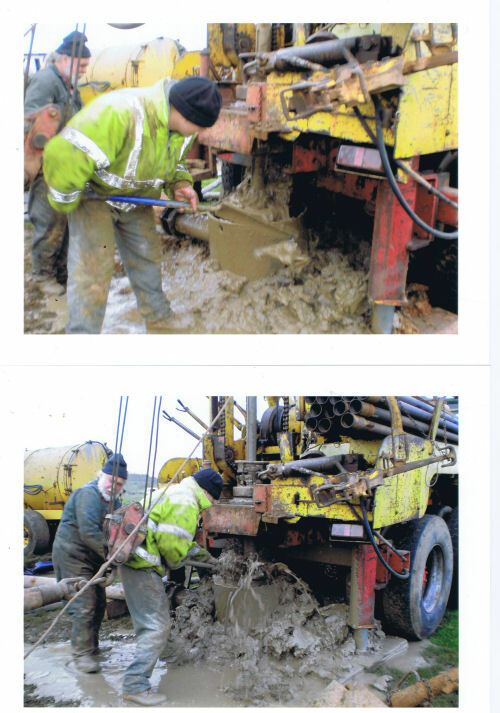 The above two photographs shows heavy, sticky clay coming up with the water that the rig was using.The piping system got clogged up twice in this process. 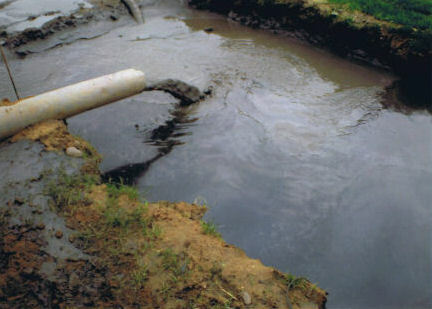 The photo below shows traces of oil floating on top of the mud tank at 45 meters. We had gone through a series of clays and rocks to this depth. 98 meters sand and water was hit. 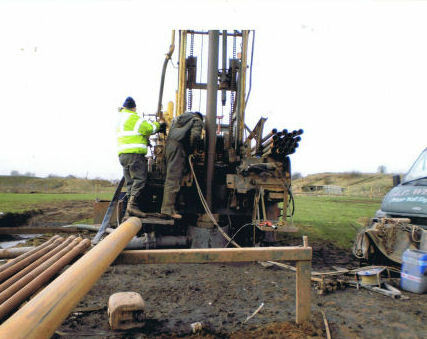 The mud drilling process at that stage had sealed off a shallower source of water at 48 meters because of the heavy clays they had come across during drilling. We also had come across shales and coal between the levels of 50 meters down to 98 meters. 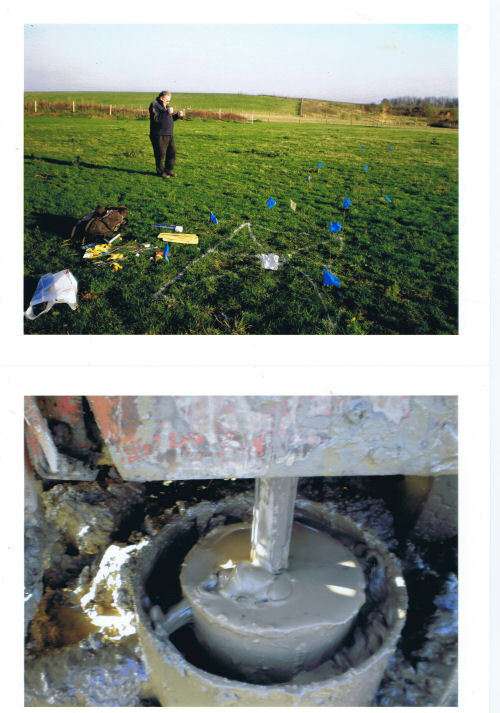 The above two photographs shows the porous piping with sock on going down into the bore hole of 120 meters. The next photo shows the actual source of water produced from the bore hole through the blue pipe into the tank. At that stage it was not clean. The flow rate, after tests was 700 gallons per hour. After pumping all day and all night the flow rate was still 600 gallons per hour. 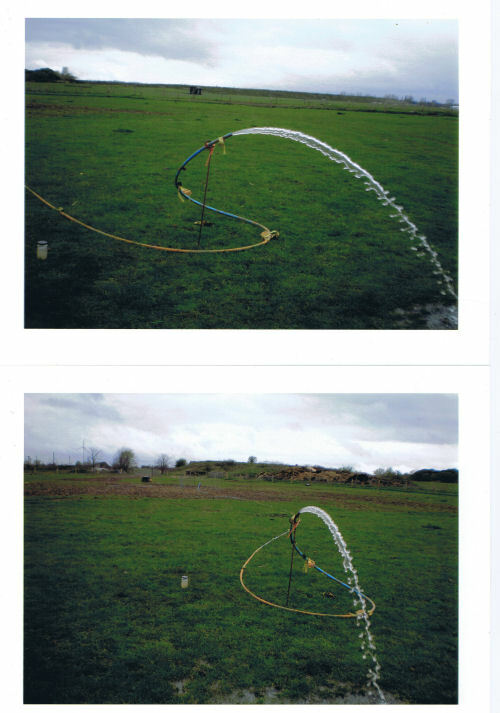 Water in the bore hole stayed steady at 56 - 57 meters beneath the ground. 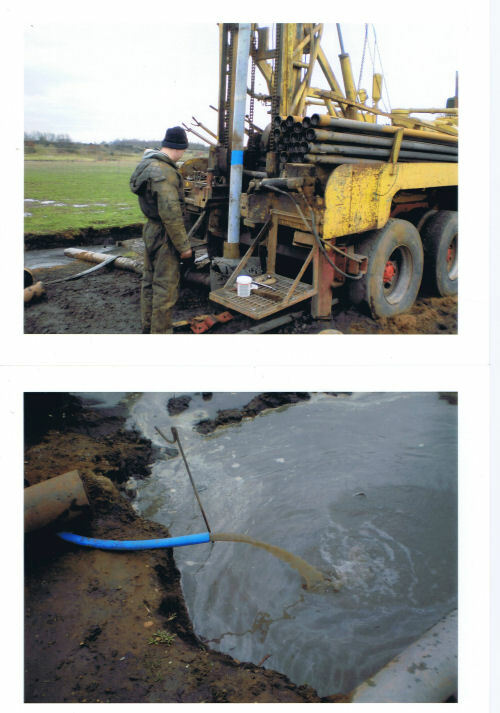 By this time the water from 48 meters had managed to push through the clay into the gravel surrounding the pipe. 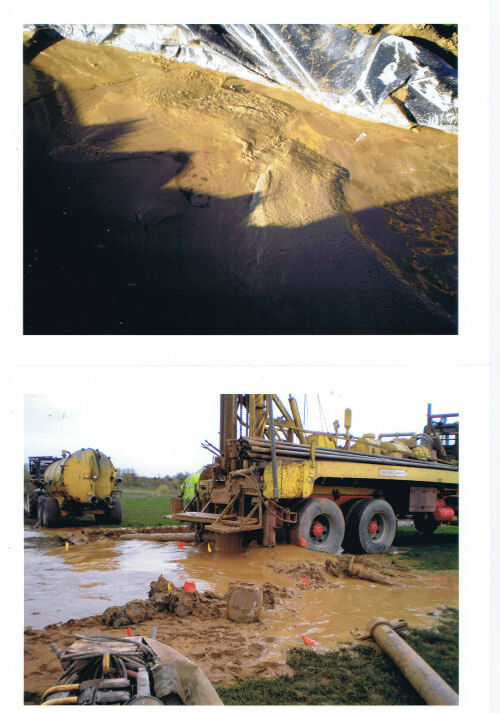 This shows how clay can be a difficult substance to work with for drillers and for dowsers. 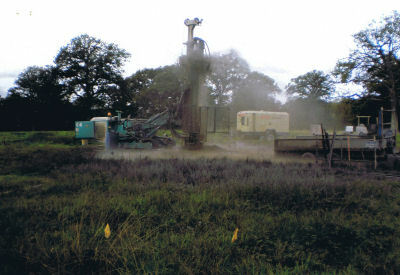 This drilling process took place between December 2011 and January 2012. 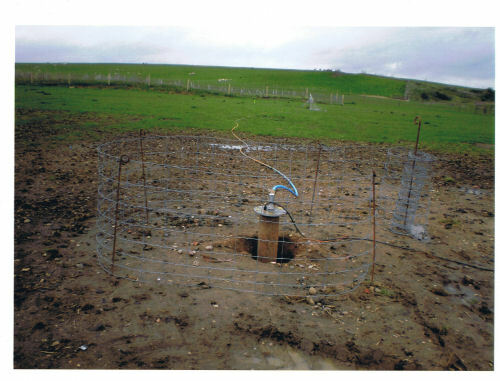 The finished borehole, ready to be boxed in.